A 350-metre-long iceberg is the latest fragment to break off the Antarctic ice shelf. At around 280 metres wide, the block is the former "western tongue" of the Grey Glacier in Chile, a famous tourist attraction. Climatologists say the calving of the ice block is no mystery and is part of an ongoing process that has seen similar icebergs released from the continent's ice sheet. 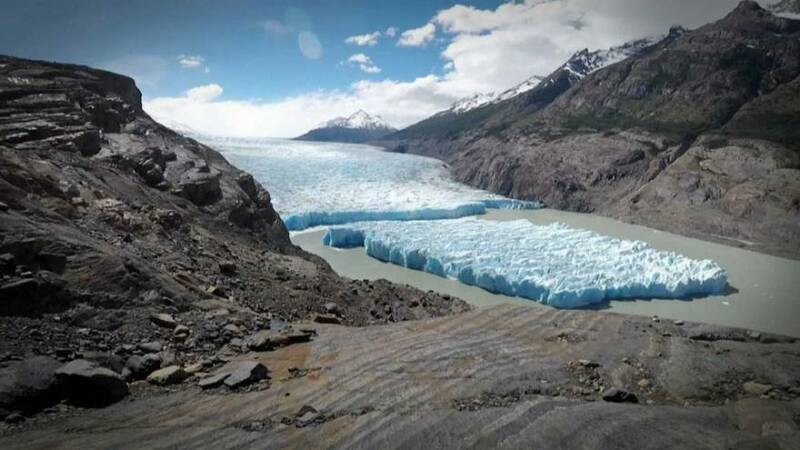 "The retreat of the Grey Glacier is a process that has been constant and accelerated in recent times and is very likely to have to do with climate change," says the Superintendent of Torres Del Paine park, Michael Arcos. There are fears the new berg could prove hazardous to ships. Events like this in this location are rare, the last-such large-scale rupture taking place in the early 1990s.